The introduction of ring-fencing proposed by the Independent Commission on Banking (ICB) means that all UK Universal Banks will need to develop their target business model for operating in the new world. As each Ring-Fenced Bank (RFB) will be a standalone entity in legal and economic terms, cost structures and transfer pricing mechanisms will need to be much more transparent. Considerably tougher capital requirements will mean that the viability of existing products, channels and services will need to be reviewed. Although the target date for the introduction of ring fencing by 2019 seems far off, banks need to start planning the end state solution today. As the proposals will significantly affect many banks’ strategies, it is important that quantification of the impact of particular scenarios is begun immediately to enable constructive dialogue at board level. The timetable for the first Recovery and Resolution Plans (RRPs) to be submitted to the Financial Services Authority is mid 2012 and it is likely that these submissions will need to outline each bank’s view of the scope of its RFB. As well as setting out recovery options available to the bank in a range of severe stress situations, RRPs require banks to identify the economic functions they perform, map these to their business units and legal entities and report key metrics on them which enable their scale and importance to be established. The ICB concluded that these reforms will cost banks between £4billion and £7billion per year. 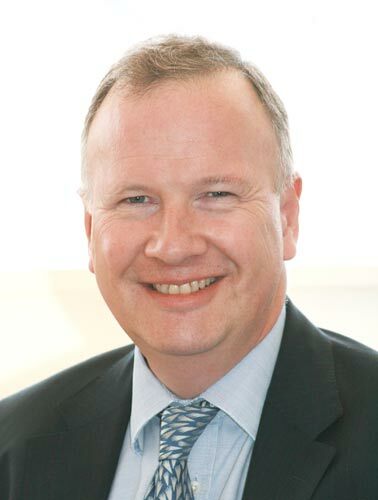 The CEO of RBS, Stephen Hester, is quoted as saying “the UK regulatory reforms on their own have probably cost £10billion to £20billion from our future market value.” Given the financial pressures of these changes, it is vitally important that banks rethink their strategies early on and aim to secure an early mover competitive advantage in the new world. Banks should move now to harness management information to analyse and understand the key drivers of their financial performance and model scenarios for both the short term and the longer term. The first step in the process is to create a business driver diagram for the group as a whole and for each economic function, mapping the drivers of value back from financial outcomes to customer, business process, economic and market indicators. These driver diagrams should then be populated with relevant trend data, including budgets and forecasts, reported by the key business dimensions, such as legal entity, business unit, economic function, product, geography and customer segment. Understanding the key drivers of value creation and the trends of historic performance provides context for the evaluation of future scenarios. The business driver diagrams can then form the basis for developing a model for evaluating future scenarios for the bank. The design of this model should enable it to support an agile planning process that is highly responsive to changes in external and internal factors affecting the business. An effective planning model should use a top down, interactive and transparent approach that enables all directors and executives to engage personally with the process, rather than simply being an exercise for back-room experts. Whilst the underlying model is likely to be complex in its structure, it is possible to create a simple visual interface to the model enabling alternative scenarios to be evaluated live in a board strategy session and the results evaluated on the spot using graphical output that conveys real insight. The model needs to show the results of reallocating assets, risks and service-giving functions within the group under different scenarios. The key output of this approach will be a well-considered top down design of the future business model that demonstrates the key financial attributes of the entities inside and outside the RFB and which identifies the changes that will be necessary for future profitable growth. In parallel to this top down modelling approach, banks should adopt a pragmatic approach to integrate their finance and risk data, a need that is now widely recognised as being urgent. It is no longer sustainable to build multiple layers of adjustments into group-level finance or risk reporting to try to address the deficiencies in source data, since this loses all transparency and makes the exploration and understanding of variances virtually impossible. However, trusting technology-led data warehouse programmes alone to deliver the solution is likely to suffer the well-known pitfalls of large scale IT projects, such as high costs and the failure to realise the intended benefits. The resolution to the data consistency issue lies in improving the quality and completeness of data captured at source. This process should be driven by what internal and external users of the information actually need, rather than what the business is capable of supplying, prioritising areas of business benefit. For example, improving the quality of data for advanced Internal Ratings-Based risk models may lead to significant capital savings, producing a very clear benefits case. A systematic data-centric approach starts with the creation of a data policy, which focuses on the business outputs needed and defines the requirements for each source data set. Data governance procedures assign ownership to the producers of the source data and its end users in finance and risk, identifying mechanisms by which poor quality data capture can be addressed. The resulting data dictionary and data model provide the strategic data foundation, which should be developed in parallel with urgent initiatives to fix data and resolve issues. By running these processes in parallel, the interactive top-down model of the business can be populated with the best current source of underlying data available at the time. This will enable business decisions affecting the operating model of the bank to be informed with rigorous data analysis at each stage and future scenarios to be explored and evaluated by a well-informed board and executive team. In the new economic and regulatory environment facing banks, the winners will be those that use management information effectively to support the generation and realisation of their strategic business vision.